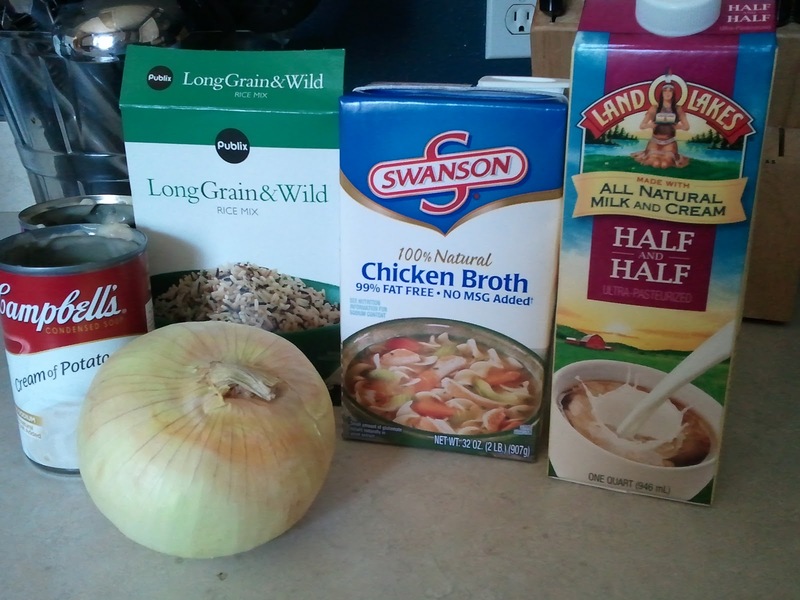 kristy.makes: recipe: chicken & wild rice soup. recipe: chicken & wild rice soup. i've always considered the ability to concoct a good soup or stew as some talent held at arms length from me. like figuring the correct proportions of liquid to substance as some mythic ratio i couldn't wrap my head around. but i've slowly added soup & stew making to my cooking repertoire. i'm a stew & soup lover, so i'm pretty excited about that... & who isn't up for a meal you can cook in one pot? one thing to note. when you set out to make a stew. really read the cooking time. i was all set to make this soup yesterday, had everything set up & ready to go.... then i noticed it said 'cooking time: 8 hours'. ya. shifting gears at 430pm, not so good. luckily we had just been to the grocery store & so the hubs saved the day cooking freshly purchased steaks. 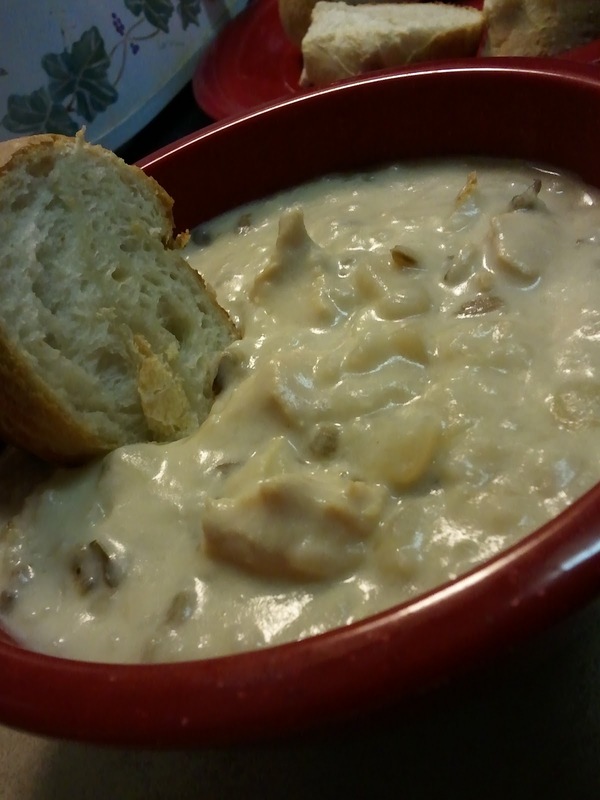 so today after the dude was dropped off to school & the babe was fed & happy i started in on making this soup. i looked for a online link, (it's an old recipe cut out) but since i wasn't successful... here it is, with my changes in parenthesis. 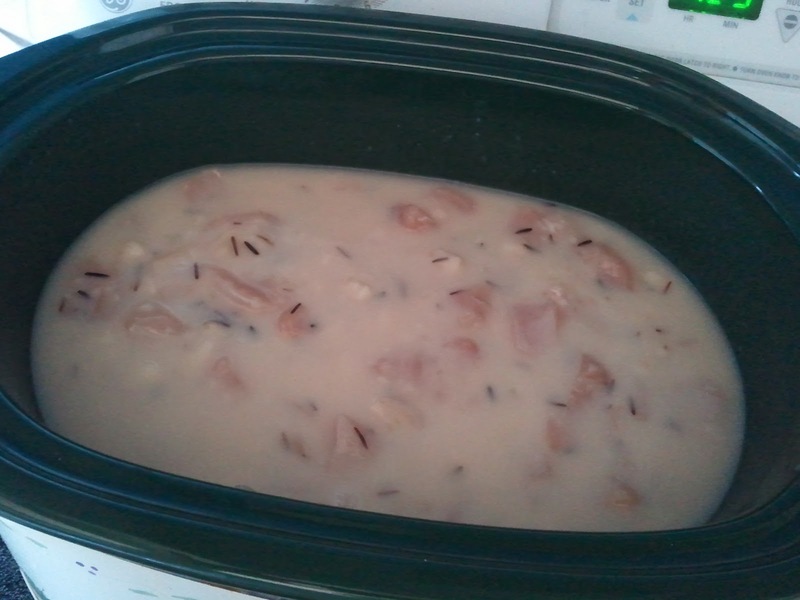 2. once chicken is cooked through, stir in half & half, then turn crock pot up to high setting. cook for 15-30 minutes or until hot. ps. i have some valentine's day ideas roaming around in my brain... but i'm wondering how to work out the logistics of making it with enough time to share the ideas & not having extras sitting around in my house to tempt me!